THE DESCRIPTION: Contact Center Professionals trust the ICMI brand and know they can rely on ICMI to deliver the most comprehensive, credible, and unbiased program. ICMI’s commitment to publishing a fully vetted program, confirmed speakers and the highest quality of customer service is the reason ICMI has been the most sought after knowledge source for over 30 years. 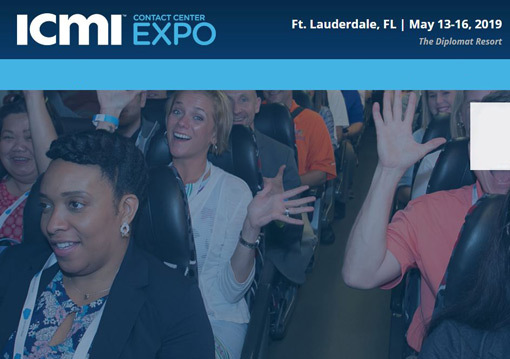 Contact Center Expo includes 4 full days of workshops, local contact center tours, case studies, training, and discussions on a comprehensive selection of contact center-specific topics, all taught by leading industry experts. You’ll also find valuable networking opportunities, inspiring keynote speakers, and the latest technologies and services from top industry vendors in the expo hall.